One of the biggest detractors from legalization is the public sentiment that it will lead to easier teen access to cannabis. One of the biggest detractors from legalization is the public sentiment that it will lead to easier teen access to cannabis. A new study on Washington State has shown that that will not be the case. In fact, not only does it not make cannabis easier to get, it makes hard drugs harder. An abstract of the study presented at the Pediatric Academic Societies 2016 meeting on May 1st shows that there is virtually no change in teen perception on access to cannabis. The study, entitled “Adolescents’ Ease of Access to Marijuana Before and After Legalization of Marijuana in Washington State,” took the data from Washington State Health Youth Surveys conducted in 2010 and 2014. The differences of opinion both before and after legalization are interesting, to say the least. The proportion of teens who reported it was “easy” to access cannabis in 2010 was 54%. In 2014, the number was 55%. The surveys did not break down whether the means of access was through underage sales or through friends or relatives. The consistency, however, shows that they aren’t finding it any easier with shops on corners instead of dealers. The perception of difficulty in obtaining other substances, according to the survey, showed a significant trend. Although cannabis stayed stable, other substance availability went down. The percentages for teens finding these substances difficult to obtain soared. With store sales regulated as strict, if not far stricter than alcohol sales, the difference means that there is a change in the availability of these substances in the home and social environments. One of the biggest points of legalization is that it would take cannabis out of the same market used to push hard drugs, and put it under regulation. By doing so, it makes hard drugs less accessible, and less desirable. Talk about substantial proof of the effects of legalization. With cannabis still holding the record for the most widely used illicit substance on the planet, its availability in every sector of society is long established, and won’t fade away quickly. The black market still exists, though as legal prices drop, with future tax breaks for businesses and a larger industry, it is fast dwindling. 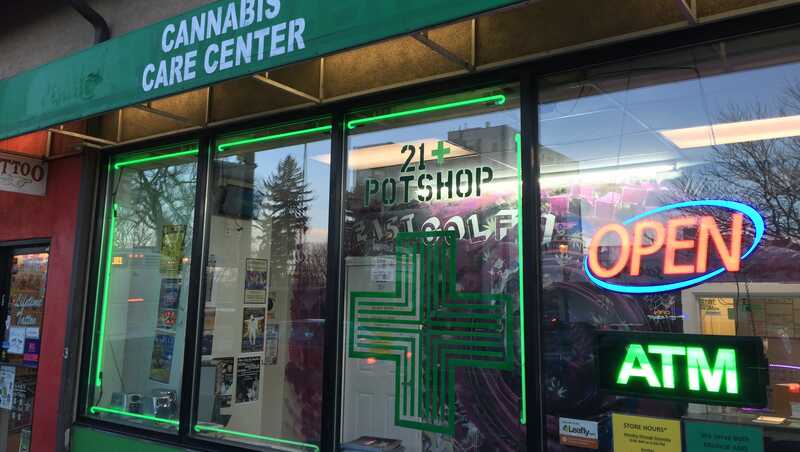 Principal investigator Natalie Colaneri said she hopes the findings will prompt increased efforts to reduce teen access to marijuana in Washington and other states now considering legalization. While prohibitionists decry the legal use of cannabis as giving teens the impression that it is safe, the same could be said of alcohol and tobacco. What is vital is not only the accurate representation of the dangers of underage use, but the education of children by their parents on why. Numerous studies show that the most effective influence on children’s’ behavior has always been their parents. By setting responsible examples, the cannabis community can help curb underage use, and increase our acceptance in society at large. Do you think that legalization for adults makes teen access easier? Or does regulation by the government over who can buy it make it harder for teens to come by? Share your voice on social media or in the comments below.